Paul Begala brings up some of the racism the President has had to endure in light of Attorney General Eric Holder's recent comments. Holder said he sees "racial animus" in strident Republican opposition to some Obama administration policies. Newt Gingrich, Tim Phillips and Neera Tanden debate. Paul Begala and Newt Gingrich debate Gov. Perry and Sen. Paul's dueling op-eds with Tim Phillips and Neera Tanden. Newt Gingrich is outraged that Israel is under attack and Paul Begala agrees with him. 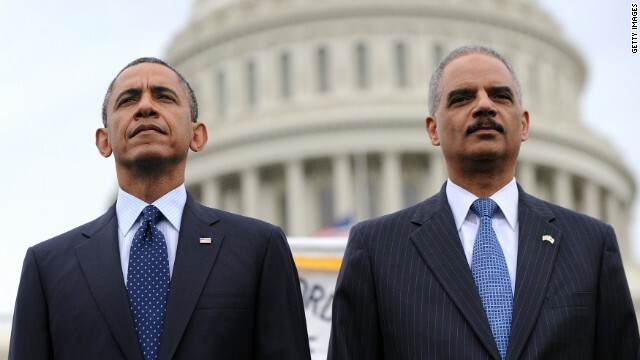 'Racial animus' towards Holder and Obama? First, Sen. Rand Paul of Kentucky is firing back at Gov. Rick Perry of Texas, in an escalation of a war of words between two potential 2016 Republican presidential contenders over U.S. foreign policy and the country's role in the bloody outbreak of fighting in Iraq. What do you make of this infighting? Then, Attorney General Eric Holder says he sees "racial animus" in strident Republican opposition to some Obama administration policies. Some media conservatives say he's playing racial politics. At 6:30pm ET, Newt Gingrich and guest host Paul Begala host a debate with Tim Phillips and Neera Tanden. We want you to weigh in: Do you agree with Eric Holder that there’s some ‘racial animus’ towards himself and Obama? S.E. Cupp makes her case for President Obama to be one of the biggest photo op President's in history, contrary to his belief. Paul Begala and Reps. Karen Bass and Bill Flores debate. Paul Begala criticizes Rick Perry's 'conspiracies' about the immigration crisis. Reps. Bass and Flores debate. S.E. Cupp is outraged that J.Crew has unveiled a size 000. Texas Gov. Rick Perry and others are lashing out at President Barack Obama's decision not to tour border facilities overwhelmed by a flood of undocumented children, saying the U.S. leader needs to see with his own eyes what both sides agree is a humanitarian crisis. 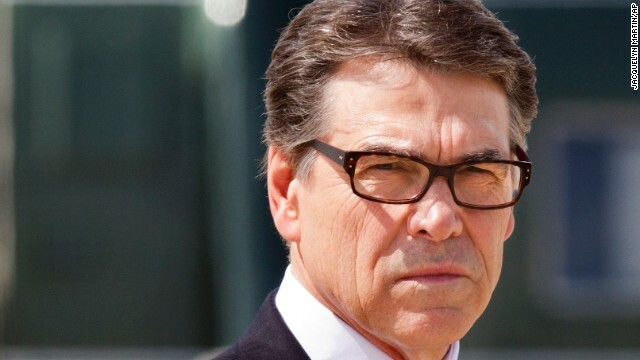 "The American people expect to see their President when there is a disaster," Perry told CNN's Kate Bolduan in an interview that aired Thursday, citing Obama's trip to the East Coast to tour damage caused by Superstorm Sandy in 2012. "He showed up at Sandy. Why not Texas?" At 6:30pm ET, S.E. Cupp and guest host Paul Begala host a debate with Reps. Karen Bass (D-CA) and Bill Flores (R-TX). We want you to weigh in: Should the President deploy additional National Guard troops to the border? Problems with Hillary the "inevitable"
Cupp and Begala debate the issues with painting Hillary Clinton as "inevitable." Clinton calls West Bank "under occupation"
S.E. Cupp challenges Tracy Sefl over Hillary Clinton calling West Bank "under occupation" in her new book. Cupp is outraged about Metallica getting kicked out of a festival & Paul is outraged over what's going on with Texas GOP. 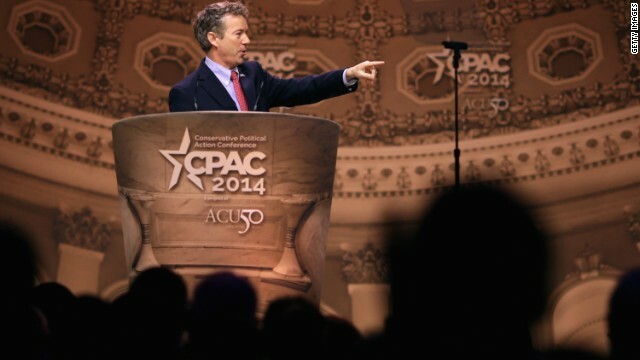 Guest host, Paul Begala, was outraged that no gay groups were allowed to sponsor CPAC 2014. 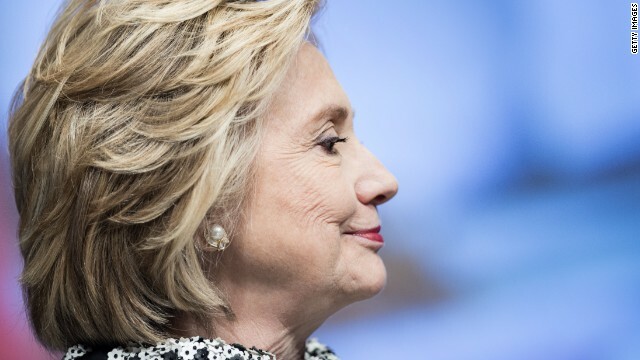 Does attacking Hillary Clinton work? Newt Gingrich and Paul Begala debate with David Bossie and Stephanie Shriock about conservatives attacking Hillary Clinton. Paul Begala argues that Sen. Ted Cruz's CPAC comments were appalling, however David Bossie does not agree. Newt Gingrich was outraged that others were outraged because Obama will be on vacation this weekend. He thinks Obama will be just as ineffective. Republicans have been shopping for their 2016 Presidential candidate at this year's Conservative Political Action Conference. Is it time for Hillary Clinton to be worried? Tonight on Crossfire at 6:30pm ET: David Bossie of Citizens United and Emily Schriock of Emily's List join Newt Gingrich and guest host Paul Begala to debate. We want you to weigh in: Which party has deeper divisions heading into the election? Vote by tweeting Democrats or Republicans using #Crossfire or comment on our Facebook post. View results below or through our Poptip results page.